I have a magic wand of Dynamics 365 customisation. No, really. I have two. I have two magic wands that I use when I’m customising Dynamics 365. Here they are. Aren’t they just amazing? The magicians in my team know that I’m customising the contact form when I’m holding the Contact magic wand. So they check with me before they customise the contact form. If I’m done, I click Save then Publish then I give them the magic wand of Contact customisation. Now they can customise the contact form. It just depends on your project. You might need different magic wands to mine. The magic wands let us know who’s sprinkling their fairy dust on those solution components so that we don’t cast magic spells against each other. What magic tricks do you use to reduce customisation conflicts between devs? P.S. I have a wand holder on my desk. I don’t have to hold the wand in one hand while I customise Dynamics with the other. I can’t customise Dynamics with one hand, you know! What do you think I am, some kind of wizard? 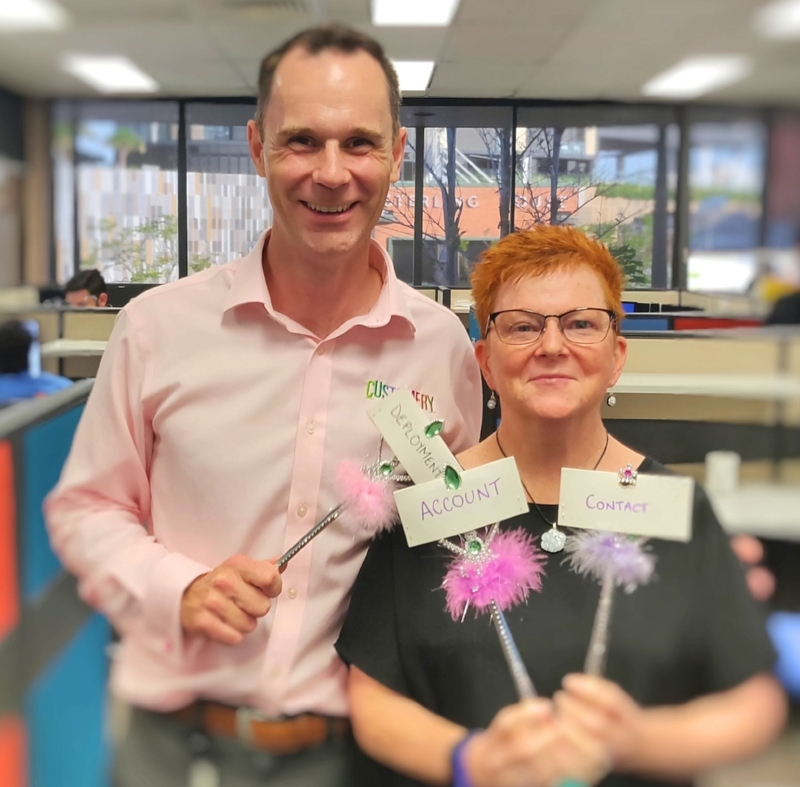 Thanks to my amazing scrum master, Karyl Crick, for inventing the magic wands idea.